Are Guitars Allowed on Airplanes? 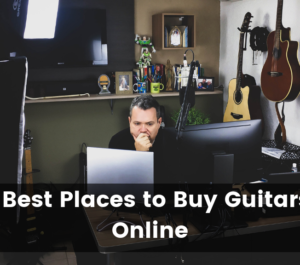 In this post, you’ll learn about all of the regulations for traveling a guitar as well as some helpful tips that will save you the time and stress the next time you decide to fly with your guitar. In short, the answer is yes. According to the law, guitars and other musical instruments are indeed allowed on airplanes. However, the caveat is that there are certain regulations that you’ll need to follow based on the specific airline that you choose. 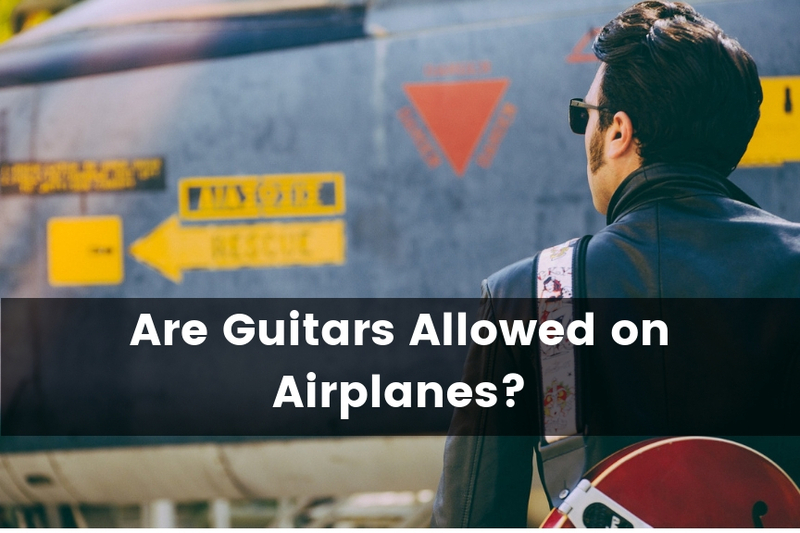 Guitars Are Allowed on Airplanes…It’s the Law! Are There any Restrictions When Carrying Guitars on Airplanes? Which Airlines Allow Guitars as Carry-ons? Many people believe that since guitars take up so much space and are an awkward shape, that they must be banned from airplanes due to the inconvenience they bring to others. However, this is a common misconception. In fact, The Department of Transportation together with TSA has enacted new policies governing traveling with musical instruments. As an artist, the good news is that you are legally permitted to fly with your lovely guitar. Most airlines in the U.S. now allow passengers to fly with guitars. The two organizations reached an accord that airlines should consider guitars as both checked baggage and carry-on items. You can carry your guitar on board depending on its size and shape. In the case you purchased an Economy ticket, then you can carry a small musical instrument in addition to other small personal items. One thing to consider beforehand, however, is whether it will fit in the overhead cabin of your particular plane. Just because you’re allowed to carry a guitar on the plane does not make it any less inconvenient. Although many airlines may allow you to take your guitar on the plane, there are specific policies and procedures regarding flying with guitars based on which airline you choose to go with. Some of them allow you to carry one instrument and a carry-on bag. Others have restrictions on the size of carry-on bag allowed or prompt you to pay a seat to carry your guitar. 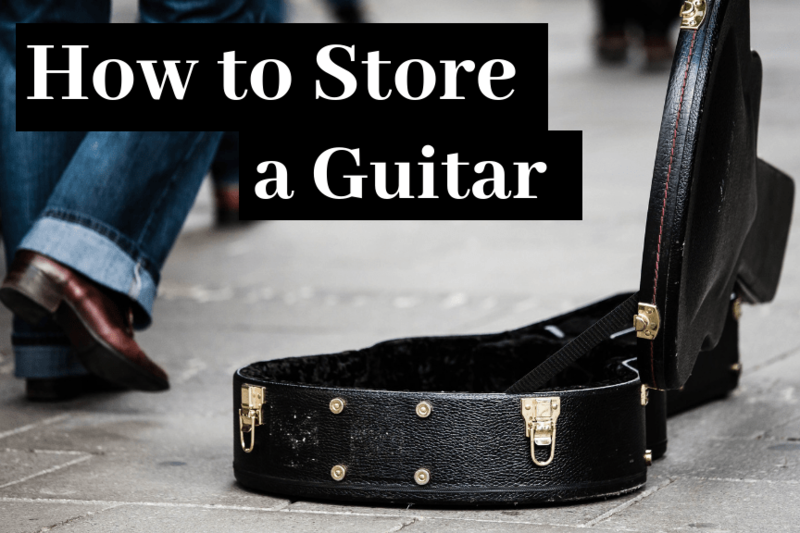 In addition, you may only be allowed to bring your guitar as a carry on if there is sufficient storage space at the time you board the aircraft. Therefore, before boarding a plane, be sure to have your guitar and case inspected by their airline security. This helps ensure that the aircraft you’re boarding has sufficient space in its overhead cabin to accommodate your guitar case. The standard dimensions required for all instruments is 22x14x9 inches. The dimensions provided include both the handles and wheels. It should basically fit under one seat. As previously mentioned, the major U.S. airlines allow you to bring your guitar on as a carry. Here is a breakdown of the major airlines in the United States that can allow you to fly with a guitar or any other musical instrument, as well as their specific policies that you should keep in mind. Southwest Airlines is one of the largest and most affordable carriers in the world. If you’re considering flying with a guitar with Southwest Airlines, then make sure you completely understand their baggage policy beforehand. Southwest Airlines allows you to carry one personal item and one carry-on item for free. For checked baggage beyond two bags, there is a fee per bag based on size and weight. According to their carry-on bag policy, each item shouldn’t exceed the provided dimensions (24x16x10 inches). The measurements factor in both wheels and handles. It should also fit under the seat that is ahead of you or in an overhead cabin. Overweight and oversized baggage are chargeable. Bags that are more than 115 linear inches will not be accepted as checked bags by Southwest Airlines. But for bags that measure 63-115 linear inches, you will be charged about $75. The same fee applies to overweight bags weighing between 51-100 pounds. Those that weigh more than 100 pounds are not accepted. Southwest Airlines considers all musical instruments special luggage. This is why they have provisions meant to protect your guitar. 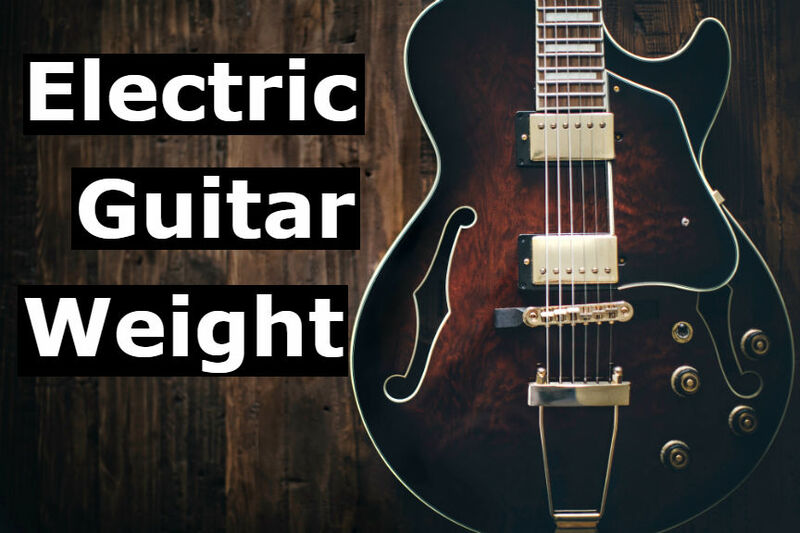 In the event that your guitar slightly exceeds the provided 10 by 16 by 24 inches dimension, then you can still carry it on board provided there is space in the overhead compartment or under a seat in front of you. If there is no space in the provided options, then you can still purchase a ticket for a seat to carry your guitar. The instrument should be secured just like a passenger with seat belt and should not cause obstructions to signs. The ticket should cost not more than that of a child’s seat. You can still substitute a piece of luggage for your guitar. Southwest Airlines holds no liability for any damage caused to your instrument in the course of hauling. Instruments exceeding 150 inches are not allowed as carry-ons. Commonly referred to as Delta, Delta Airlines is another major airline in the United States that allow you to fly with a guitar. It is headquartered in Atlanta, Georgia. The airline allows you to travel with a guitar as a carry-on or checked baggage but depending on the shape and size. For you to travel with a guitar, your instrument should not go beyond 150 inches or 381 centimeters in total length. The recommended weight is 165 lbs. or 75kg. All musical instruments measuring more than 200 cm or 78.74 inches are not accepted by Delta Airlines as checked luggage. Delta also requires you to keep your guitar in a hard-shelled case. TSA approves and lays down all the requirements that qualify a case as hard-shelled or not. They also allow you to buy a ticket for your instrument at full flight price in case you don’t want it to be checked in or if it exceeds the provided dimensions. Just like Southwest Airlines, Delta requires you to secure your guitar with a safety seat belt. The instrument should also not pose hindrances to exits and signs. For security reasons, your guitar should always be next to your seat. Another popular airline in the United States is American Airlines. They are the leading airline regarding fleet size, passengers flown, scheduled and even destinations served. American Airlines allows you to travel with a small musical instrument like a guitar as a carry-on item. If you’re going to be traveling with a guitar, you should make sure to book your flight super early. They will haul your guitar as long as it fits in a seat at the front of your seat or in the overhead cabin. If there isn’t any available space, then you might be asked to buy a ticket for your instrument. The cost of the seat is just like that of an adult passenger. You might also incur other applicable carrier-imposed fees and taxes. Prior to buying an additional seat, ensure that your guitar meets the provided restrictions. It should not weigh over 165 lbs. or 75kgs. Size restrictions vary depending on the type of airplane you board. Anything that is big or heavier than the provisions above will be shipped through cargo. Due to the fragile nature of musical instruments, American Airlines will not be held liable for any damages caused, so make sure you’re using a hard case that’s packed tight. If you’re traveling abroad with your guitar, then there are two options to consider on how to carry your instrument. You can carry your guitar as a carry-on or as checked baggage. As a carry-on item, you need to have a high-density and well-reinforced bag for your guitar. A gig bag with backpack strap can make it easy for you to carry your guitar. However, gig bags do not provide the best protection, so if you’re checking your guitar as baggage, go with a hard shell chase instead. Invest in a heavy-duty hard case for your guitar that is reinforced with a steel frame. Cheap and low-end bags and cases lack proper padding and support, which can result in damage during transit. You might also want to consider carrying a conspicuous bag that is easy to identify in case your instrument gets out of sight. If you’re interested in picking up a hard case, I would recommend an SKB Guitar Case. Just make sure you get one that fits the shape of your guitar. You can find SKB hardshell cases on Amazon. Moreover, before booking a flight with any airline, be sure to check whether they allow passengers to fly with guitars or other musical instruments. Make a list of them then pick the one that has favorable rules and procedures. This can help you avoid possible disappointments on the actual day of the flight. When measuring the weight of your instrument, remember to include the carrying case. It should not exceed 165 lbs. You should also not carry any other instrument apart from the permitted one i.e. your guitar. This helps to prevent strain caused by pressure and temperature changes on your guitar as you fly. Such changes can affect the neck of your instrument. Make sure that your guitar is properly wrapped in bubble wrap for proper cushioning, even if it is in a case. If you don’t have bubble wrap, use common household items, such as extra shirts, towels, and sheets instead. Proper padding helps to secure your guitar in place and reduce movement while it is inside the case. So to wrap things up, guitars are, in fact, allowed on airplanes. Whenever someone gives you a hard time about flying with your guitar, just understand that the law does permit you to carry your guitar on an airplane. You’ll be able to travel with your guitar with any of the major airlines such as American Airlines, Southwest Airlines, and Delta without any issues. Just be sure to keep in mind that there are procedures, provisions, and guidelines on how to fly with it specifically to each airline. 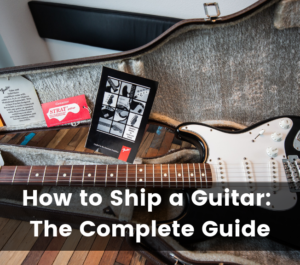 You should consider calling the airline ahead of time to plan your guitar haul in advance. This will save you the stress of dealing with it on the day of the trip. Finally, remember to pack your guitar properly before traveling. Poor packaging can cause damages which the airline don’t cover. I’m Dan Hoang. 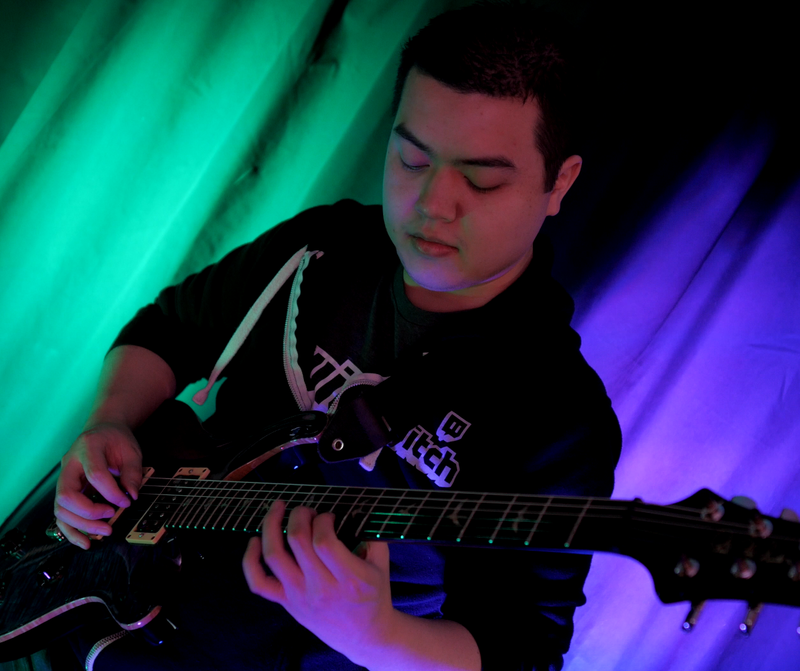 I’ve been playing guitar for over 10 years now, and I’m a total nerd when it comes to gear. I’ve learned a ton over the years and would love to share some tips with you! Guitar Advise is a participant in the Amazon Services LLC Associates Program, an affiliate advertising program designed to provide a means for sites to earn advertising fees by advertising and linking to Amazon.com.